I've been bitten by the nail art bug again (after the longest dry spell EVER) and I'm super excited to share my latest creation with you all! I busted out a stamping plate I've had for ages from Winstonia in one of their older stamping plate sets. I can't seem to find the exact set on their website - I must have got it so long ago! I used my clear jelly stamper to stamp the moustache at the top of the plate over two coats of Lime Crime Milky Ways. 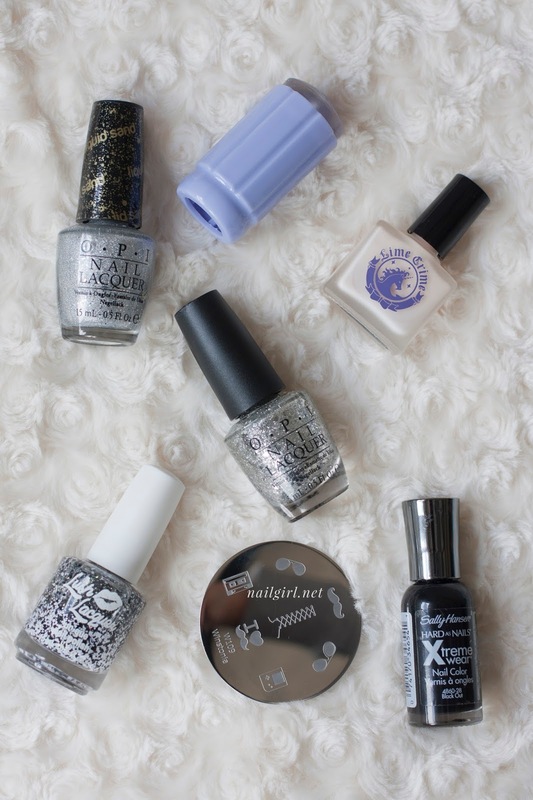 My accent nail is two coats of It's Frosty Outside topped with a coat of Just Crown Me Already. The black and white glitter is Salt N Pepa from Polish Me Silly (formerly known as Lush Lacquer). 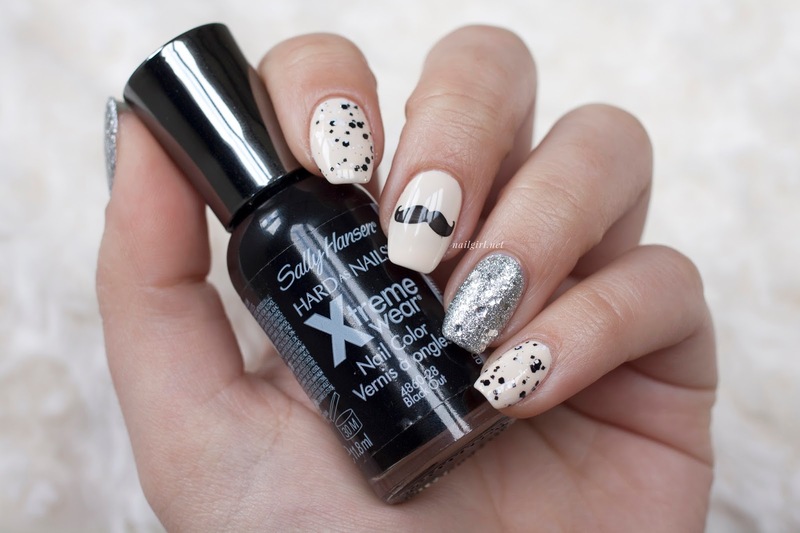 I hope you enjoyed this sweet and simple moustache mani! Did you do anything for Movember?